Such awesome insight from a great PLN! If others share these views on teacher leadership our children are in good hands! Greg Richards has participated in many Maryland Elementary School Chats over the past few years. He often shares pearls of wisdom from his years in teaching and is quick to acknowledge the contributions of others. Greg is a great addition to the #mdeschat team. Greg is entering his 11th year teaching and his 14th in the public school setting. For thirteen of the last fourteen years, Greg has worked for the Prince George’s County Public Schools system. He graduated from PGCPS in 1998 and considers it a privilege to work for such a wonderful school system. Greg has taught every grade from pre-k to fourth, except third grade. This school year he is teaching kindergarten. Greg is passionate about education, the thirst for knowledge, the pursuit of learning and growth, and inspiring young people to be the best that they can be. He has served as grade-level chairperson in the past and enjoys opportunities for leadership and growth. Greg is constantly seeking opportunities to give back to the profession as a way of honoring the many teachers he has had the privilege of learning from. Faith is important to Greg. He serves as the chairperson of the Christian Education team at his church and is big on collaboration and the growth mindset. Greg is excited to be a part of the #mdeschat team this year! Join Greg and the other #mdeschat crew members every Thursday at 8PM EST! Bonita Bradway has served as a guest #mdeschat moderator in the past and joins our team this year on a regular basis. Her blog, Learning Wholeheartedly, is a great resource for elementary teachers. Bonita is a fourth year teacher at Tyler Heights Elementary in Annapolis, Maryland. She grew up in South Africa and after studying computer programming for a year, took some time off and moved to the USA in 2006 to become a nanny. During the last 4 years of nannying, she earned her Bachelor’s in Education from the University of Phoenix. Bonita is a passionate teacher who enjoys being in the classroom and learning with her students every day. Last year, she became the PBIS (Positive Behavioral Interventions & Supports) coach, and also accepted the opportunity to become the chairperson of the Professional Learning Committee at her school. The committee allows her to learn with and inspire other teachers who are passionate about growing professionally. She also spends time connecting with teachers from around the world on Periscope and other social media platforms. Bonita is inspired by innovative teachers across the country – such as Ron Clark and Kim Bearden. She is always searching for new and exciting ways to make learning fun for her students, and to share positivity and professional learning with other teachers. 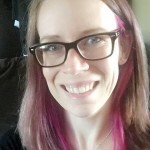 She is looking forward to her third year as a fourth grade teacher and is very excited to connect and learn with teachers through the #mdeschat forum. Join Bonita and our other #mdeschat moderators every Thursday at 8PM EST! 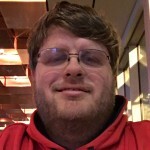 Walter Reap returns for his fourth year as a #mdeschat moderator. He is a past recipient of the Washington Post Distinguished Educational Leadership Award. He has served as a principal at Germantown Elementary in Anne Arundel County and Edward M. Felegy Elementary in Prince George’s County. 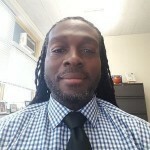 He recently accepted a position as principal at Cristo Rey Jesuit High School in Baltimore City. Walt’s leadership approach is strategic, learner-centered, and deliberative. He is excited to learn, lead, read, share, think, and dialogue around all topics with all people who are open to diverse perspectives. Walt has worked in a range of educational settings from rural to urban areas. He loves the city and its complexities! Walt is eager to learn and grow around topics like culture, transformation, impact/sphere of influence, technology and digital media. Walt is on a quest for the essential components of instructional alchemy and the quintessential skills to improve educator efficacy! He is quiet, but not shy; simple, yet complex! Join Walt and our other moderators every Thursday at 8PM EST! Evylyn Quiñones is a versatile and experienced education leader who will surely add to the depth of our discussions this year. We look forward to her contributions. 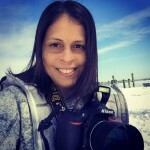 Evylyn, born and raised in Puerto Rico, earned a Bachelor of Arts in Elementary Education from the Interamerican University of Puerto Rico. Started her career as a first grade teacher and, after 9 years of experience, was hired in 2005 by Prince George’s County to teach ESOL at Cool Spring Elementary. In 2011, Evylyn transferred to César Chávez Dual Spanish Immersion School and earned a Master’s degree in Instructional Design and Technology. She has performed the duties of Testing and STEM Coordinator as well as teacher-in-charge. 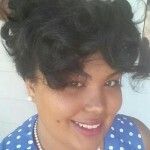 For the past 11 years, Evylyn has been part of PGCPS Title I Technology Training Team and, as an Apple Foundation Trainer, she has facilitated several workshops and conferences. Her commitment is to inspire and facilitate ways in which teachers can evolve from using technology to integrating technology in instruction. In 2015, she earned a Master’s degree in Educational Administration. Currently, Evylyn serves as an assistant principal at Phyllis E. Williams Spanish Immersion School. It is her goal to continue to share her experiences with other teachers and inspire them as they develop the necessary 21st century skills of our future global citizens. Join #mdeschat every Thursday at 8:00PM EST! Our #mdeschat crew has grown this year. Over the coming weeks, we’ll be introducing them to our awesome PLN. First up, Rian Reed (@missreed), who has served as a guest moderator in the past and has an extensive social media presence. A native of Penllyn, Pennsylvania, Rian graduated from Millersville University with a dual Certification in elementary education and special education. Her passion in education stems from overcoming her own academic struggles. Having been educated by amazing teachers from the Wissahickon School District, she chose to live her life giving back to the community by being an advocate for a quality education for all students. Rian has taught in a variety of settings including self-contained classrooms and co-taught classrooms in grades 2 through 8. She also has experience teaching in the Extended School Year program and has coordinated summer enrichment programs for middle school students. Rian has a strong history of advocacy for Civil Rights. As the past president of the NAACP Youth and College Division of the State of Pennsylvania, she was able to help in re-chartering four new youth and college division chapters. She also led several voter registration drives and continues to speak out for the needs of children and education. Her gift of writing and passion for the well-being of humanity led to an opportunity to address the 8,000 attendees at her own college graduation in 2011. Currently, Rian is pursuing National Board Teaching Certification and an Executive MBA. She will continue to stretch herself by teaching AVID this school year for the Prince George’s County Public School system. For Rian, being a member of the #mdeschat crew is an example of her dedication to growth and collaboration as she continues to provide the best for the students she teaches on a daily basis. Join us for #mdeschat every Thursday, 8PM EST! What does a literacy-rich classroom look like? Early literacy efforts are, needless to say, an ongoing concern for school districts across the US and the world. The pendulum on what methodology is best has swung in enough directions to make the average teacher dizzy. What constitutes good reading instruction? The question we must continually ask ourselves is, “What do those standards look like in the primary grades?” What would an observer “see” in the classroom that demonstrates those standards? The third bullet above is a poignant reminder that early literacy skills are best honed in a classroom that capitalizes on the social, emotional, and physical connections to learning. Yes, strong literacy skills are a must for every teacher, but if they are unable to connect with students on a personal level, their success will be limited. The other theme running through the IRA’s recommendations is that language and literacy are complementary skills. Students in the primary grades must be exposed to a language-rich environment. Reading skills will grow much quicker and deeper in a dynamic classroom that promotes discussion, movement, play, theater, and student autonomy. A teacher who structures the classroom for student-choice will develop the independence in students that they need to succeed in life. What do you expect to see in the primary grades when it comes to reading? What indicators tell you that a classroom is literacy rich? Join #mdeschat this Thursday 8PM ET and share, or add a comment below! Advice from A Great PLN! The topic for #mdeschat last night was looking toward the New Year. While the challenges of teaching and leading are many, it was reassuring to hear the hope and energy expressed by many in last night’s chat. The last question was “fill-in-the-blank” and the answers are a good example of the power of positive thinking. Such inspiration from people who spend every day supporting teachers and students! Perhaps Brandon Kiser’s (@SchooLeader) last statement says it best, 2015 will be great if we only decide to make it so! That spirit of thinking reminds us of our potential. Is it possible to make significant change and progress just because we decide to? I sure hope so.